Congratulations to LFHS Senior Tanya Prazelini on her nomination for All-Valley Girls Soccer Player of the Year for 2017! Prazelini, a forward, scored 68 goals during the 2017 season, which is believed to be a Valley single-season all-time best for a female UIL soccer player. She was a main catalyst for Los Fresnos district win, the fifth in seven years and their advance to regional for the sixth time in eight seasons. Prazelini scored at least two goals in each District 32-6A match this season as the Lady Falcons won the 32-6A title with a 14-0 record. She was voted overall MVP in 32-6A. The other two nominees were Anna Hover of McAllen HS and Krysta Armstrong of Economedes HS. 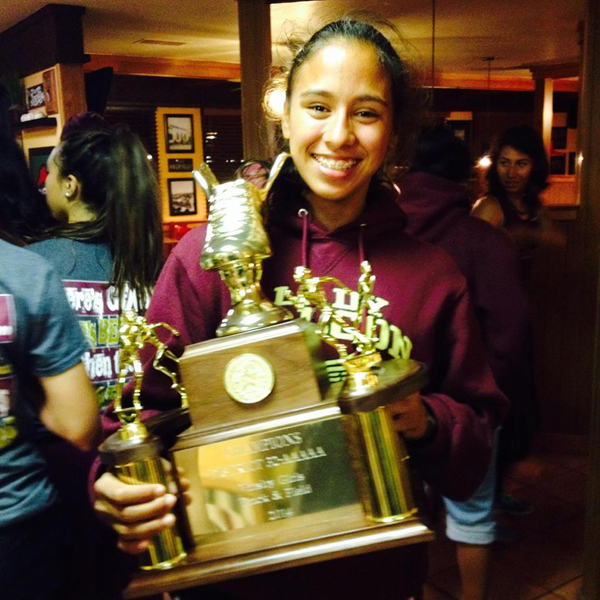 Last year’s award winner was also from Los Fresnos – Senior midfielder, Claire Castañeda.